Economist John Quiggin appears so concerned at the direction of events that he claims “mainstream science is on the verge of being overturned by the efforts of a group of dedicated amateurs” (The Australian Financial Review, April 23). With public perceptions changing so dramatically and quickly it is little wonder Ian Plimer’s latest book, Heaven and Earth, Global Warming: The Missing Science, has been received with such enthusiasm and isinto its third print run in as manyweeks. 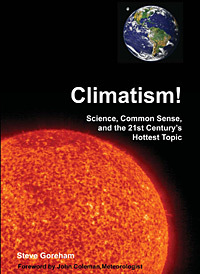 The public is receptive to an expose of the many mythologies and false claims associated with anthropogenic global warming and are welcoming an authoritative description of planet Earth and its ever-changing climate in readable language. In an interesting slant on logic, Robert Manne, writing in The Weekend Australian last Saturday, takes the position it is not what citizens should believe that is important but who they believe. Needless to say, he favours the UN’s IPCC and its so-called consensus over those such as Plimer who question the anthropogenic global warming science. What is often forgotten is that the UN established the IPCC in 1988 only because of the then raging scientific debate over the veracity of the anthropogenic global warming hypothesis. The debate has continued because the dire predictions violate fundamental scientific laws and the real science cannot be suppressed. Seventy per cent of the Earth’s surface is made up of ocean and much of the remaining surface is transpiring vegetation. Evaporation and the exchange of latent energy from the surface is a strong constraint to surface temperature rise. It is not rocket science that water from a canvas bag is cool even on the hottest days. Furthermore, the surface temperatures of the warmest tropical oceans seldom exceed 30C and for millions of years the underlying cold sub-surface waters have provided a powerful thermal buffer to warming. The suggestion of anthropogenic global warming exceeding a tipping point and leading to runaway orirreversible global warming is a violation of conservation of energy principles. 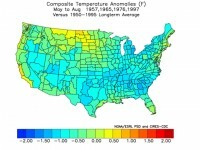 Computer models are the essential tool for prediction of future climate. Since the IPCC fourth assessment, several independent analyses of the characteristics of the various models have been published in the scientific literature. These analyses reveal serious defects. As the Earth warmed during the 1980s and ’90s, it was observed that the convective overturning of the tropics (the Hadley circulation) increased. 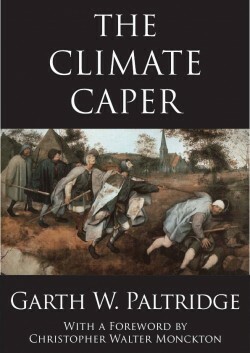 In contrast, the overturning of the computer models is portrayed to decrease as increasing carbon dioxide generates global warming. If bushfires in Australia equal global warming, does the coldest April temperature ever recorded equal global cooling? A new Australian record was set early this morning, a temperature of minus 13 degrees, at Charlotte Pass on the Snowy Mountains. This is the lowest temperature recorded anywhere in Australia in April and is 13 below the average. Nearby at Perisher it dipped to minus 11 degrees and at the top of Thredbo it dipped to minus 10. Professor Ian Plimer cuts through the mockery of ABC warming alarmist Tony Jones – and Jones’ repeated attempts at a nit-picking gotcha – to treat Lateline viewers to a primer on how shonky is the theory which has generated such a gigantic scare. Cool sense is such a relief – and so unmistakable – when inserted into a debate dominated by hyperbole, abuse, exaggeration, assumption, wind-baggery, appeals to authority and hairshirt evangelism. As far as I can tell, Jones managed only to identify one error – that NASA had corrected figures for US temperatures, not world temperatures, as Plimer had written (pp 98-99). This makes Plimer’s claims that the 1930s were hotter false – at least when he extrapolates from the US to the world. 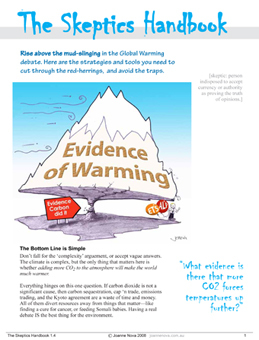 But it does not falsify Plimer’s claims that temperature measurements by the world’s four most reliable sources agree the world has cooled over the past decade, and that the world has been warmer in the past. Note that short though this period is, global warming theory is itself based on just 25 years of alleged man-caused warming – from around 1975 to 1998, as Plimer explained. MARGOT O’NEILL: The claim that global temperatures have dropped since 1998, thus disproving a warming trend, is one of many rejected emphatically by one of the world’s climate scientists, David Karoly. DAVID KAROLY, UNIVERSITY OF MELBOURNE: Temperatures have dropped a very small amount since 1998, both in surface temperatures and in atmospheric temperatures measured from satellites. But that doesn’t mean that global warming has stopped. Even when a warming activist confirms the truth of what Plimer says, the Lateline reporter hears it as a denial. And what Plimer actually deduces from the drop since 1998 is also true – that this is not consistent with the alarmists’ predictions or theory that the ever-increasing amounts of carbon dioxide emitted by man is causing ever-increasing warming. No wonder Plimer’s sceptical book – Heaven and Earth – is an instant and deserved best-seller. Question: does Tony Jones try this hard to disprove any alarmist he invites on his show, no matter how clearly exaggerated are their fears? Check here and here. Note with those last two links that Jones introduced his interview with the alarmist IPCC chairman by running a clip featuring three scientists who strongly agreed with him. But last night Jones introduced his interview with a sceptic by running a clip featuring three scientists who strongly disagreed with him. Balanced? Apologies. I was working on this without realising I’d already posted it. Hence the changes to the original post. Sceptics are bobbing up everywhere. Now it’s New Zealand journalist Ian Wishart, who has issued his own book and gets a decidedly different interview here. Watch for Tony Jones going at Robyn Williams, who claims the seas could rise 100 metres this century, in their discussion of “mistakes”. Oh, not there? Instead, we see Williams dismiss a great climate scientist (and sceptic) on the grounds that he smokes. I kid you not. But more particularly watch Michael Duffy nail the Jones technique. Temperatures leaped to 92F at Central Park today as a storm developing over the central pumped warm air east. The air was very dry as vegetation is still mainly dormant. A cooling sea breeze quickly cooled the city but most inland areas stayed in the low 90s. Another very warm day or two are expected this week before wetter cooler weather comes east. 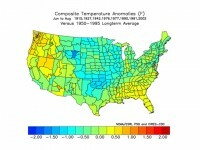 One of the warmest days occurred in April 1976 when it reached 96F in New York City on the 18th of the month. It also reached 90F in 1977. How unusual is that. Well it is pretty common actually in the last half of the month. 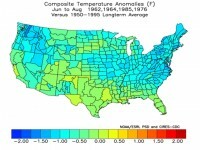 Empirically most forecasters have observed early heat seems often to be followed by seasonable to cooler temperatues in the following summer for the United States. 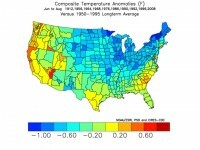 I looked at the years with 90F in New York City in the last century. 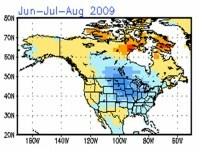 Here is what the summer for the United States temperaturewise looked like. My adventures have taken me to some pretty interesting places, but it seems none are as interesting as our own hometown. Whether I’m in a jungle, on a mountain or in a pub, somebody always wants to talk about Harleys or Miller when they hear I’m from Milwaukee. Now, I can add another topic to that: global warming. Two professors from the University of Wisconsin-Milwaukee, Kyle Swanson and Anastasios Tsonis, recently set the global warming world ablaze when they studied cold, hard numbers and found that the Earth stopped heating up in 2001 and actually has been cooling a bit. Much to their dismay, “experts” on one side used the research to say, “See, we told you there’s no warming,” and those on the other side spun what the team discovered to make it sound less conclusive. The professors have tried to stay above the fray by saying that the research is what it is and that it shouldn’t be used to further agendas on either side, but that has not stopped the battles. The professors should have called NASA. It happened to that agency’s researchers, too. National Aeronautics and Space Administration researchers studied all the weather data going back to 1903, the first year that reliable long-term records started being kept. They, too, found that the Earth had warmed up a bit, but according to its climatologist, Ray Spencer, temperatures have been falling for the past five years. But being good scientists, the NASA researchers decided to compare that to the only other planet that we have reliable, long-term data for: Mars. They found that temperatures there are 0.5 degrees Celsius warmer now than they were in 1973. But, unlike Earth, the Red Planet is still heating up. That has caused some problems. If global warming is man-made, where are the thousands of factories and massive traffic jams that would be needed to heat up Mars? On the other hand, if this is just a natural planetary cycle, could that mean Earth is having one as well? But if that’s true, why is Mars still heating up and Earth is not? The activity at the polar ice caps are a perfect example. Spencer says on Earth, the arctic ice has grown more on a percentage basis this winter than at any time since 1979. However on Mars, according to the Jet Propulsion Laboratory, the South Pole has shrunk three years in a row, in such a way that it indicates a climate change. Again, why? Just like in Swanson’s and Tsonis’ case, one side says, “Well, that proves it’s natural.” The other says, “Mars isn’t Earth, so it doesn’t count.” Agendas once again over science. Warming alarmist Charlie Veron goes toe to toe on ABC Breakfast with Ian Plimer, author of the instant best seller Heaven and Earth, which exposes the global warming hysteria. Oh dear. Veron scores a knockout with his first effort – on himself. I believe the term is “beclowned”. Note the typical methods that warming alarmists have misused so successfully for too long – playing the man, resorting to abuse and appealing to authority. Not addressing the facts. The Australian Science Media Centre, laughably claiming to be a source of “independent” and ”evidence-based” information, rushes out five “experts” to pooh-pooh Plimer’s book. Not one seems embarrassed by the fact that they haven’t actually read a page of what they dismiss. Check the board of this outfit and you’ll soon see why the ASMC is nothing like it claims to be. Tim ”Alarmist of the Year” Flannery? Robyn ”100 metres” Williams? Mike “no to nuclear” Rann? A break from faith in Australia! 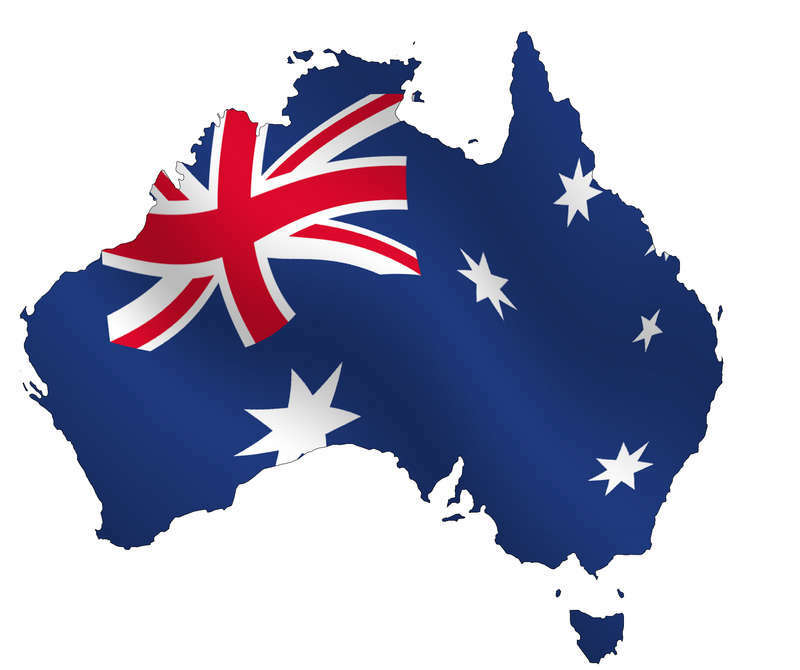 The continent down under, which until recently adhered to a strict form of global warming dogma, is experiencing an enlightenment. “Beware the climate of conformity,” warns the headline for a column on global warming in the Sydney Morning Herald. “Wong is wrong on ETS,” runs an editorial in The Australian, criticizing Climate Change Minister Penny Wong for her proposal to introduce an Emissions Trading Scheme in the midst of a recession. Instead, the newspaper asks the government to listen to the Australian Coal Association and the Australian Industry Group and postpone any decision for at least a year, if not forever. Jobs and the economy should not be threatened, the paper declares, particularly when climate change is an unproven theory. “Garnaut turns on Government’s greenhouse scheme,” reports the Australian Broadcasting Corporation, advising its audience that “The future of the Government’s greenhouse gas trading regime is under question again, this time from the man who helped to design it. “Ross Garnaut — who headed the Government’s review of climate change policy — has told a Senate Committee that it might be better if the scheme in its current form is not passed into law. Pilmer’s book could not have landed at a more opportune time. With Australia’s resource-based economy rocked by recession, large swathes of the public are for the first time asking themselves if the job losses and economic dislocations that would come of reducing carbon dioxide emissions are really necessary. At the same time, the Australian Senate Select Committee on Climate Policy is hearing testimony on the wisdom of an Emissions Trading Scheme. Not only have the politicians running the proceedings decided to allow climate sceptics to express themselves, much of the press has decided to report their views fairly. Into this global warming glasnost that Australia is experiencing steps Pilmer, with perspectives that would once have been derided and dismissed. Thanks to Pilmer, the press and politicians, Australia is likely to become the developed world’s third Denier Nation, after the Czech Republic, where only 11% of the public blame humans for global warming, and the United States, where only 34% blame humans. Mr. Global Warming himself, Al Gore, is the star witness today in the House Energy and Commerce Committee hearing Democrats’ cap-and-tax global warming bill. The bill — recently introduced by Reps. Henry Waxman (D-Hollywood) and Edward Markey (D-Kennedywood) — is labeled the “American Clean Energy and Security Act of 2009,” which is as Orwellian a name as the “Employee Free Choice Act,” which is of course the way to deny secret ballots to employees in union elections. House Republicans will have a chance to do better than their Senate colleagues did in January, when no tough questions were asked. 2. In October 2008, the New York Times Magazine featured a cover story on how Kleiner Perkins had invested $1 billion in 40 companies that would profit from new environmental and energy laws and regulations. What will be your share of any profits from these ventures? 3. How much of your own money have you contributed to Kleiner-Perkins, Generation Investment Management and other businesses that stand to profit from greenhouse gas regulation? If you have not contributed significant amounts of your own capital to these businesses, what, then, is your role in them? Are you a lobbyist? Are you the face of their public relations efforts? Is your job to run around scaring politicians and the public into enacting greenhouse gas regulation? 4. Is Kleiner-Perkins’ business plan to have you press for legislation and regulation favorable to its clients in order to make them more attractive and available for sale to the public, at which time Kleiner-Perkins would cash out, leaving the public invested in not-ready-for-prime-time companies that have dubious financial prospects and that are dependent on taxpayer subsidies? 5. Your co-founder with Generation Investment Management is former Goldman Sachs partner David Blood. Goldman Sachs is lobbying for global warming legislation and is a part owner of the Chicago Climate Exchange, where carbon credits from cap-and-trade legislation would be traded. Do you or Generation Investment Management stand to benefit in anyway from these relationships? 6. Generation Investment Management’s web site says the firm provides investment advice to clients. Who are Generation Investment Management’s clients and how do they stand to profit from upcoming environmental and energy legislation and regulation? Will these clients share their profits with you and/or Generation Investment Management? 7. When you left public service in January 2001, your personal net worth was perhaps $2 million. In 2007, your personal net worth was reported to be on the order of $100 million. How much of this fortune is related, directly or indirectly, to your advocacy of legislation to reduce “global warming”? 8. When you testified before the Senate Foreign Relations Committee in January, why did you not disclose to the Committee and to the public your relationships with Kleiner-Perkins and Generation Investment Management? Generation Investment Management’s web site says, “Integrity and honesty are the bedrock of our business. We demand the highest ethical standards in our work and in our personal lives.” In light of this statement, how to you explain your failure to inform the Senate Committee of your financial conflicts of interest? 10. If you are wrong about humans causing catastrophic global warming, will you give all the money you “earned” from your alarmism back? 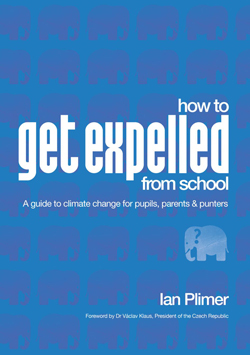 OUTSPOKEN academic geologist Ian Plimer says people are embracing his latest book on the science behind climate change because they are “disenfranchised” and increasingly frustrated with the “selective evidence” being presented about global warming. The professor of mining geology at Adelaide University this morning launched Heaven and Earth: Global Warming the Missing Science. Professor Plimer told The Australian he had spent more than three years looking at the science behind climate change, concluding that too much emphasis had been placed on the level of carbon dioxide in the atmosphere in scientific modelling, and the world’s warming should not be blamed on increased human activity. “The evidence that we hear in public is very selective, the evidence that I give is comprehensive,” the earth scientist said. Professor Plimer said climate change scientists and advocates such as former US Vice President Al Gore pushed a political line, rather than an “integrated view of the planet”. Speaking after the launch, Professor Plimer said others, such as 2007 Australian of the Year Tim Flannery, had only looked at a “small body of evidence”. In his own book, Professor Plimer has looked at 80 factors affecting climate change. It has been on sale since Monday and has begun it’s third print run of 5000.